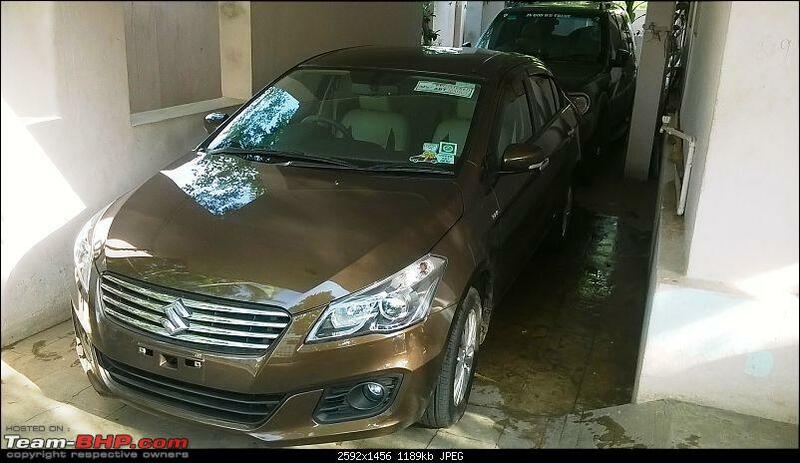 Hello fellow BHPians, It has been 3 months since I bought the brand new non-SVHS Ciaz ZDI. 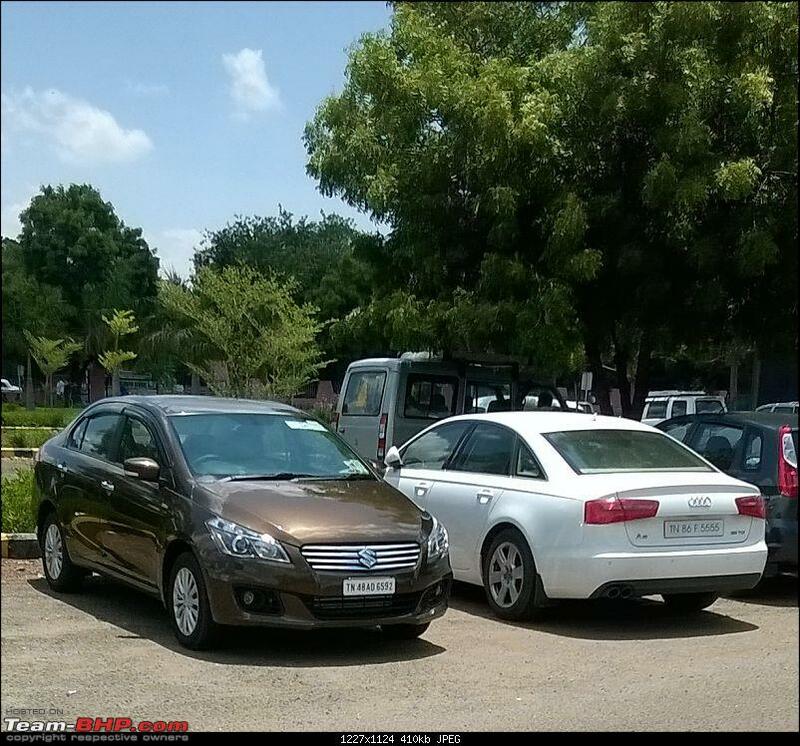 Though there are numerous Ciaz owners here in TeamBHP, I could find only a couple of ownership reviews. This is my attempt at making the prospective buyers have more clarity on what Suzuki Ciaz is all about. The official review was wonderful and I doubt whether anyone can have a better observation of the ciaz than our official reviewers. 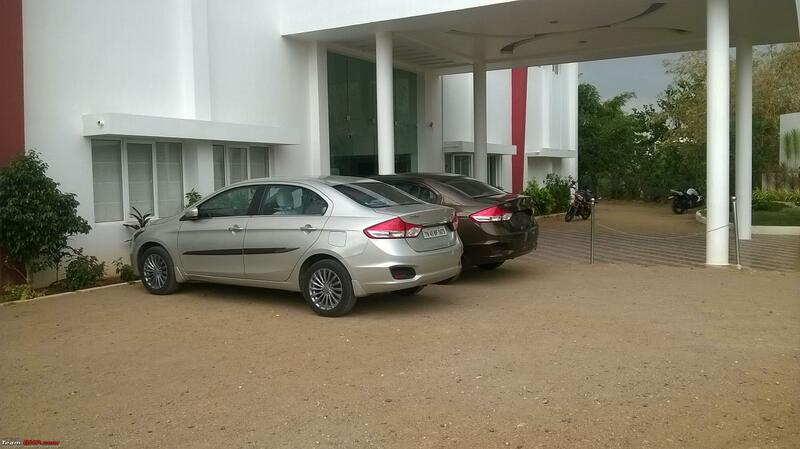 This ownership review of mine is not going to discuss a lot about the exteriors, interiors or the features Ciaz has. For that information, official review is where you need to head towards. My ownership review is going to be about the performance of the diesel Ciaz, what it is to live with the sedan, and a lot of photos I have taken with other popular cars. Pardon me for the picture clarity as all of them were captured using the mobile camera. I was getting fed up with my Sumo Gold. It literally broke our backs, gulped fuel terribly and was not at all comfortable. We also had a Safari DICOR and Chevy Beat diesel. 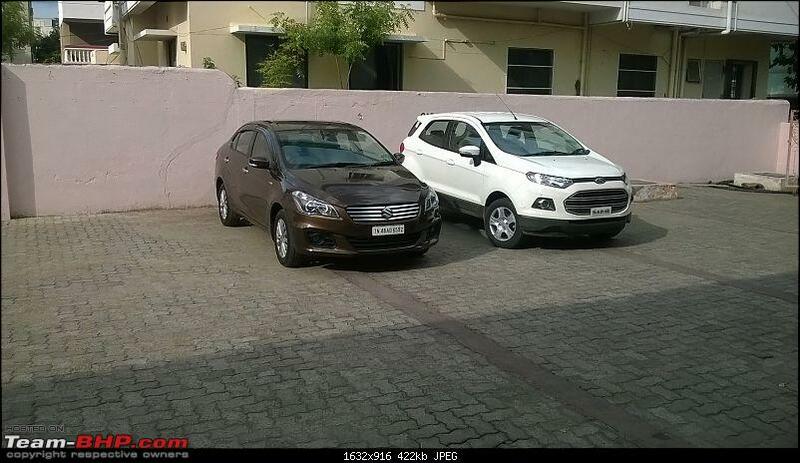 All the three cars were bought in 2012, replacing the beautiful Swift ZDI and the comfortable Sumo Grande we had. It was that time when Celerio Diesel ads were coming up in Newspapers. My dad was inclined towards the Celerio and he asked my whether we can sell the sumo off and get the Celerio D. I already had enough of the three cylinder, 58bhp inadequacy in the form of my little Chevy and I did not want to add a weaker performer to the garage. True that Sumo Gold, with that 3 liter CR4 barely made 85BHP and 250Nm torque was also a bad performer. But Celerio will be worse, I thought. 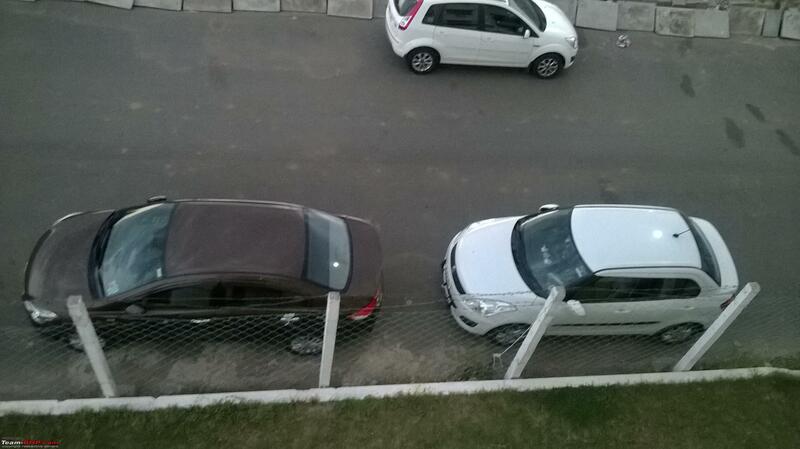 So, we dropped the plan of buying another small car. Swift was our favourite. We had one of the first swift diesels in Trichy in 2007. Even today, the service people at ABT Maruti identify me as the "red swift owner". It was a brilliant car. No wonder it is being talked on the same lines as the cruze when turbo kick is refered. 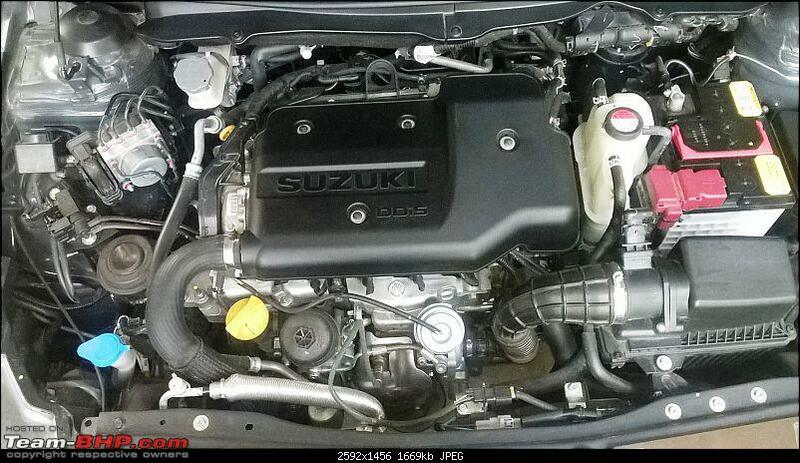 That addictive 2000rpm turbo kick will make any enthusiast fall in love with the puny 1.3 DDIS. Please note, I am talking about the first generation Swift diesel. The later iterations lost that turbo kick and feel tamed. Dad was very keen on the swift. Reason: We drove it for 90000km, not a single niggle, not a single complaint! We bought it for 5.9 lakhs (VDI with ABS, that time ZDI was not there and airbags were not there too, even in the top trim) and sold it for 4.5 lakhs after 6 years!! I was against the swift as it was a car that we had almost a decade ago and lack of rear seat space was the deal breaker. We, as a family, have a soft spot for Tatas. We have had 5 Tatas so far. 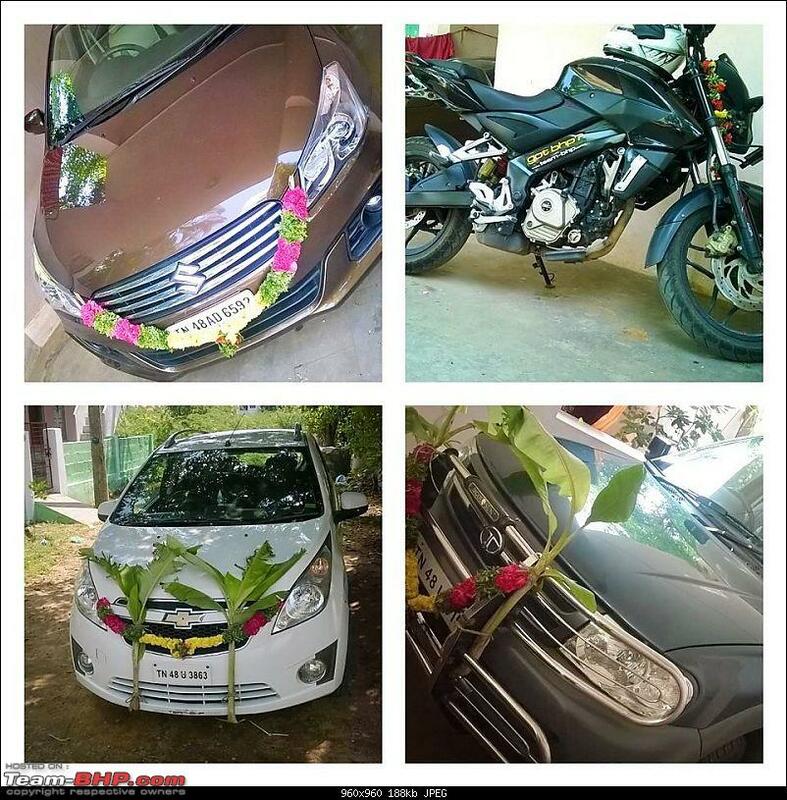 Of which 3 have crossed 90k km without issues. 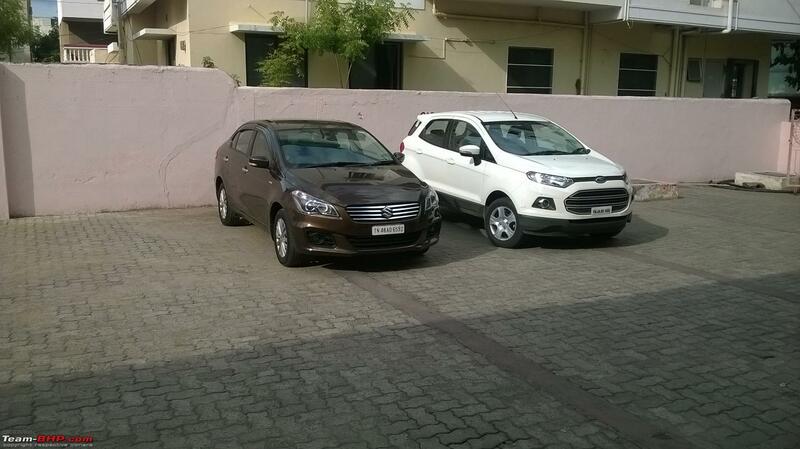 Zest was a strong contender and I was about to book it without even a test drive. But instinct made me go for a TD. I liked the interiors and space. It drove well and was airy. The TD stretch was a smooth flat expressway and I floored the pedal. 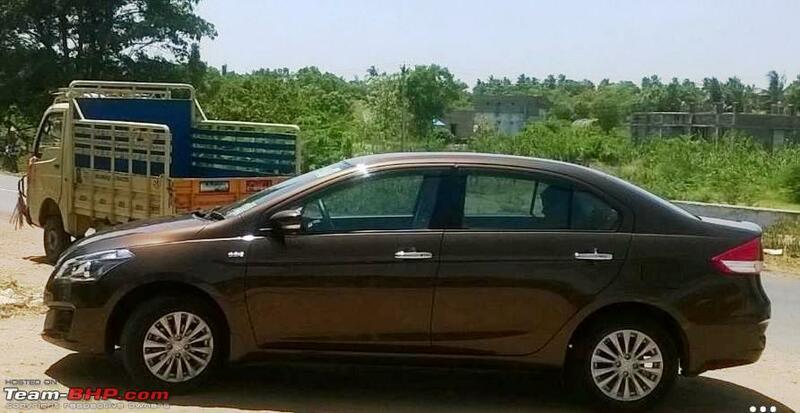 The Fiat multijet felt very different in Tata to what it feels like in a Suzuki. 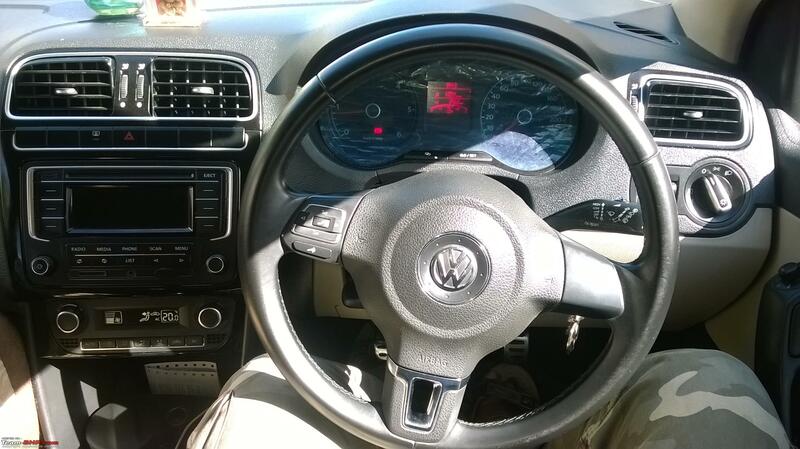 The car was okay till 100kmph, but it started vibrating (steering) above a certain speed. It reminded me of my Safari at high speeds. Silhoutte! !- It felt very Indica-ish. High position of the clutch, vibrations were a major deal breaker, as I live on the highway and my travel is 80% on the highways. High speed stability and cruise-ability was of paramount importance. I was not looking at the C2 segment cars at all. 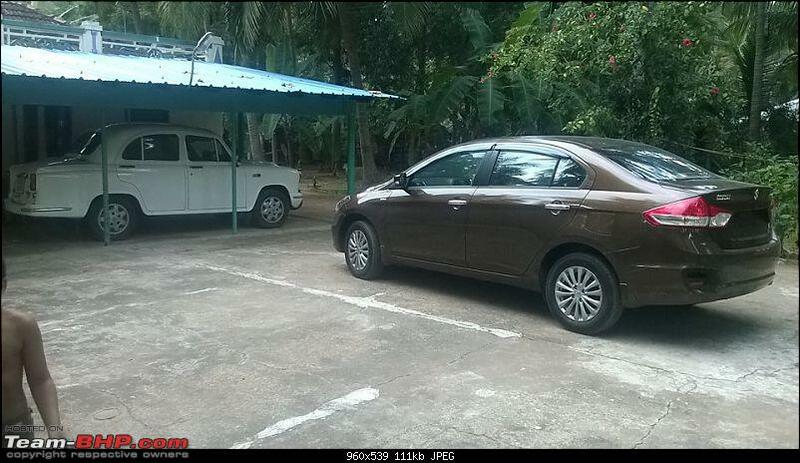 But we were given a TD of the Ciaz as the dealer is very close and associated with us for more than a decade. We have had Zen, Omni, Wagon R, 800, Swift Diesel, all from the same dealer. I instantly liked the way the car looked. It was very spacious and comfortable too. The test drive was a long 20km highway drive. Ciaz felt very calm and composed. I, for the first time in a TD, did not feel like ripping the car. At the end of the TD, it felt good, meaning, the performance was not the attraction, instead, the package as a whole appealed to me. I quoted 4.5 lakhs for the Sumo Gold. It was 2012, top trim with new tyres and complete maintenance records. The market value according to cartrade.com and quikr was somewhere around 4.5-4.75 lakhs. Maruti truvalue people tried their level best to bring down the quote and gave me an offer of 3.5 lakhs. I refused the exchange and decided not to buy a new car. June passed by, and I receive a call from Truvalue that an external party wants to have a look at the Sumo. I agreed and they quoted 3.75 lakhs, to which, I refused again. 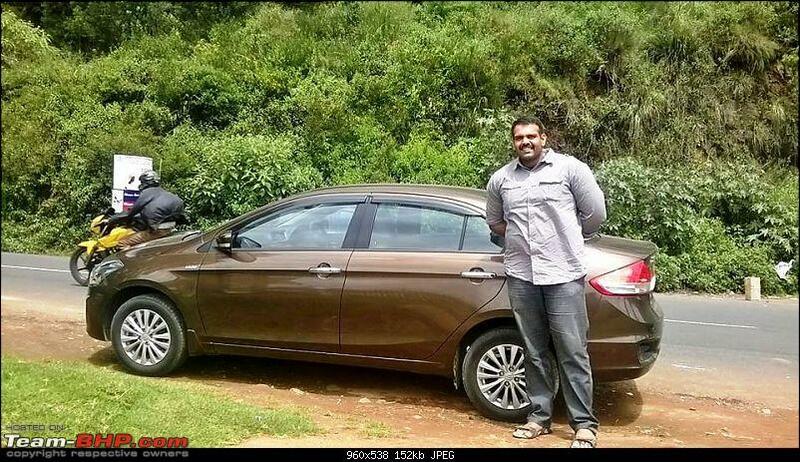 Around mid-july, Truvalue called back, and they told me they are ready to take my sumo for 4 lakhs if I am going for the Ciaz and not the Celerio. 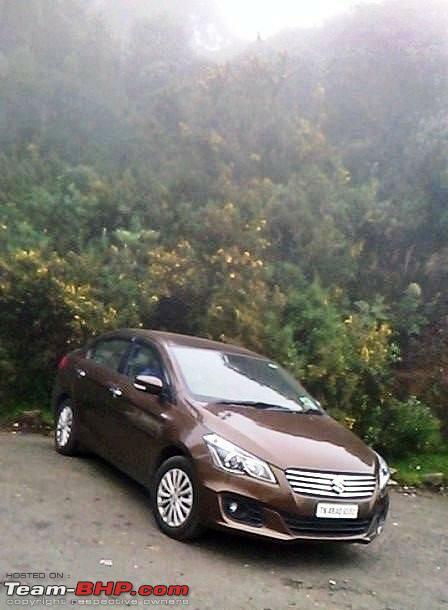 I was okay with the price and gave my sumo, thereby booking the Dignity brown Ciaz ZDI. I did the PDI in their yard. Checked the VIN, it was a May 2015 car. PDI was over and the car passed the PDI. I paid the remaining amount and took the delivery on 31st July 2015. I have had the car for 3 months now and have covered around 7100km as I write. Described below are my honest views about the Ciaz. Personally I would rate the Ciaz among the best looking entry sedans sold in this country, along with Fiat Linea, Ford Fiesta Classic and the Vento. It is a proper sedan, and has a big footprint. It has the longest wheelbase in its segment, it is the longest and also the widest. It clearly looks a segment larger. It sits low, lower than the polo. The ZDI comes with 15 inch alloy wheels, which in my opinion, looks hot! I somehow did not like the color of the 16 inchers in the ZDI+. I should add, the rear fog lamp housing (the black plastic cladding) does not look nice at all. It is prominent in lighter shades, I am happy that black and brown shades mask that area well. I also would have preferred body colored door handles instead of chrome. But that is not an eyesore though. This pic has 4 cars with the same engine, albeit different states of tune. The shortest car here is the Ciaz. The projector lamps are my favourite, be its contribution to the form or the function, it is very very effective. This is one area which was always important to me in a car. I stand at 6 ft 2 inches and drive with the seat pushed back to the farthest setting. For me, if I can sit comfortably at the rear, without my knees pushing into to the driver seat's backside, the car is super-spacious! And Ciaz impressed me exactly with that. Be it legroom or the shoulder room, Ciaz is a proper 5 seater. Ciaz is one of the best riding C2 segmenters today. The low speed ride quality is good, this, coming from a Safari owner. The bumps and undulations do not seep into the cabin. They are well contained and the ride quality at 100-120kmph on the highway is perfectly relaxing and comfortable. The NVH levels are excellent till 120kmph. You would still hear a mild diesel clatter, but you can have a conversation without having to raise your voice. 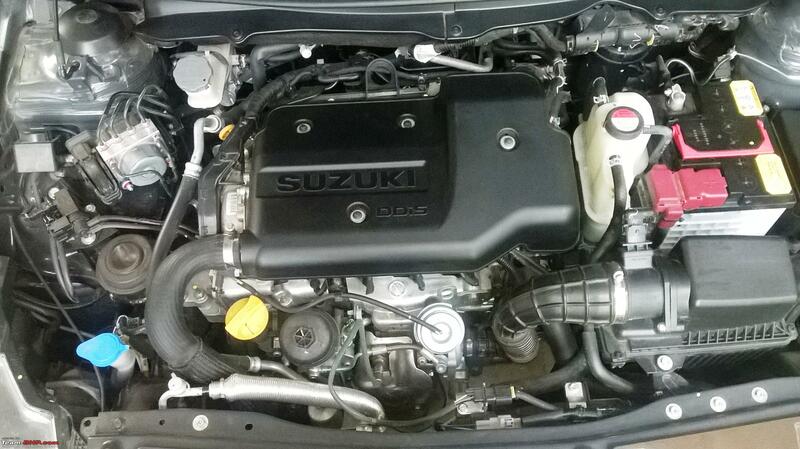 Achilles heel of the Ciaz, atleast according to automobile reviewers is its engine. The puny 1.3 diesel engine from Fiat in a higher state of tune employing a VGT. It puts out 89BHP and 200Nm of torque. This power rating would have been more than adequate if it was 2008. But today, even commuter hatchbacks like the GT 1.6, GT 1.2, Figo 1.5 put out 100+ BHP. 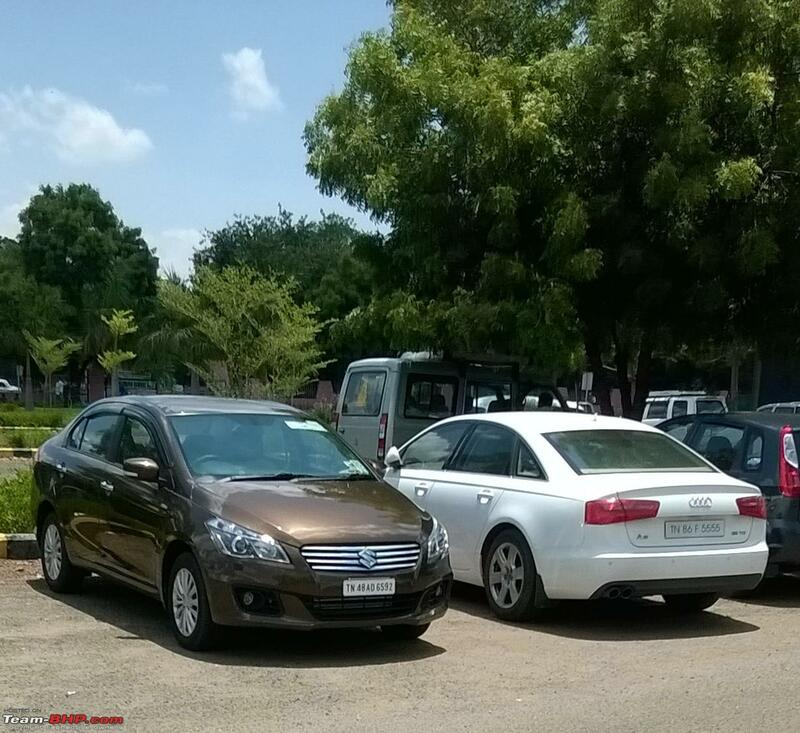 The other cars in the segment like the German twins, Honda City and the Verna put out greater power when compared to the Ciaz, Linea, Global Fiesta and the Renault Nissan twins. I love the way 1.3 VGT performs and loathe it for the same reason, which I would like to elaborate in the final part of this report. 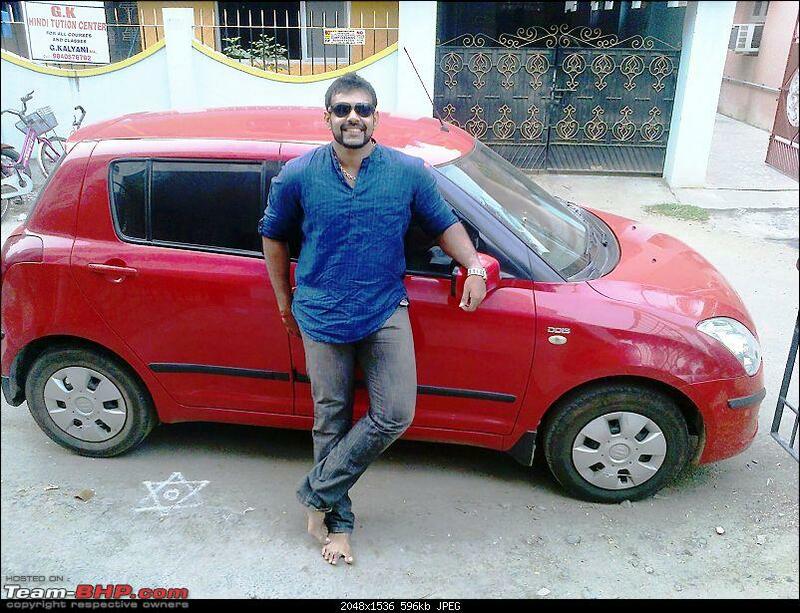 I have experienced the 1.3 DDIS in lesser state of tune for 7 awesome years in my first gen Swift Diesel. It was capable of serious speeds and drove like a dream. Not to forget that it was extremely efficient, did its duty for 90000km without a single issue. I knew the 1.3 DDIS VGT would be similar, if not better. As I have already mentioned, this was our 5th Maruti Suzuki, spanning a time period of more than 15 years of relationship with the brand and the same dealer. During the same time span, We had 5 Tatas, 2 Mahindras and a Chevrolet. I have been to every showroom of the other 3 brands for various niggling issues. But never once, have I been to the suzuki dealership with a complaint! That was the amount of trust Maruti was able to create in us. We strongly believe the Ciaz will not put out a single issue for the next 5 years it is going to be with us. The Dealership is worth mentioning here. ABT Mambalasalai is the first and the best Suzuki dealer in my place. 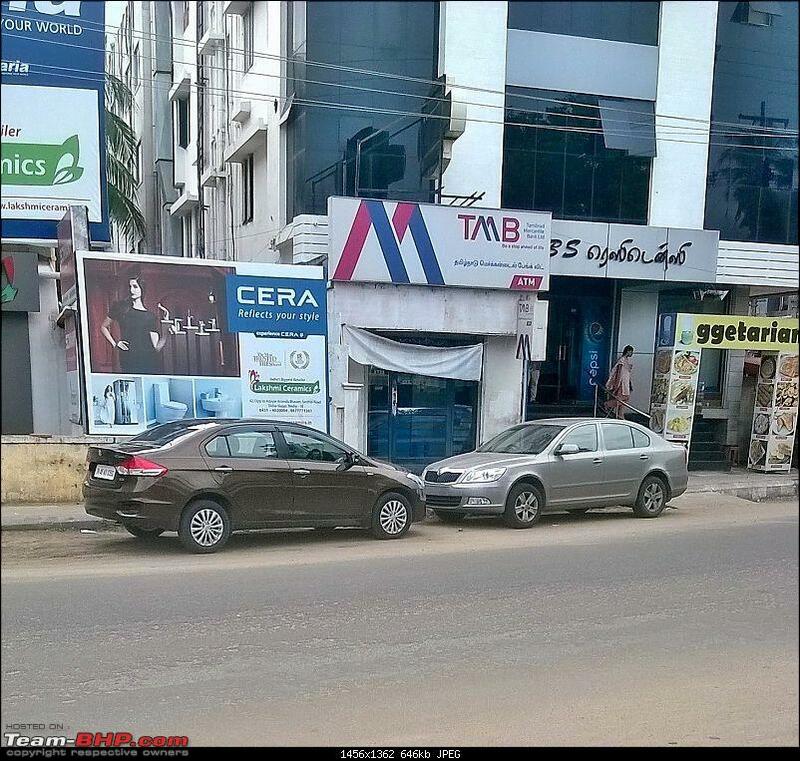 They also have branches in Chennai and Coimbatore. Starting from the security guard to the Branch Head, they are professional and very warm. Irrespective of the car you own, you will be treated like a king. 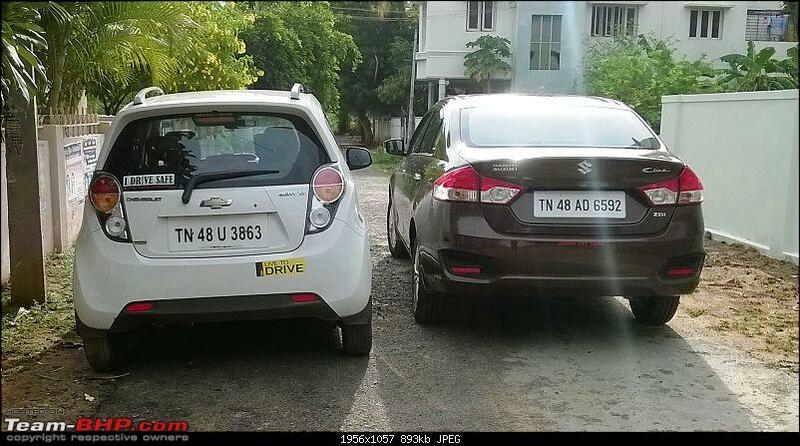 Same treatment for the Eeco owner and the Scross 1.6 alpha owner! The service is absolutely effective, punctual and they take care of your car like it is their own car. The Mercedes GLA sedan has the lowest drag coefficient of 0.23, and it is the most aerodynamic production sedan today. With that figure in mind, it was very joyful to know that the Ciaz has a drag coefficient of 0.29!! Why would anyone care about aerodynamics? I will! Because, I have been driving cars with the aerodynamics of a brick, and have experienced the power and efficiency getting a bashing due to the aerodynamic disadvantage. 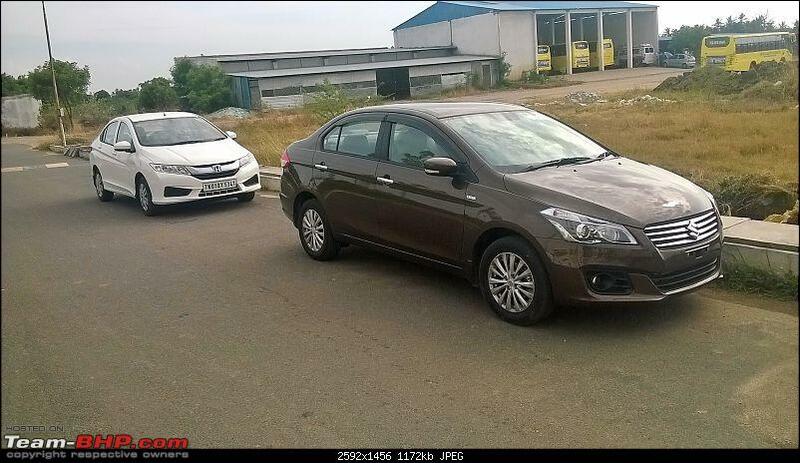 I knew, with that aerodynamic design, Ciaz will be fuel efficient and more powerful than the same engined SX4 DDIS. 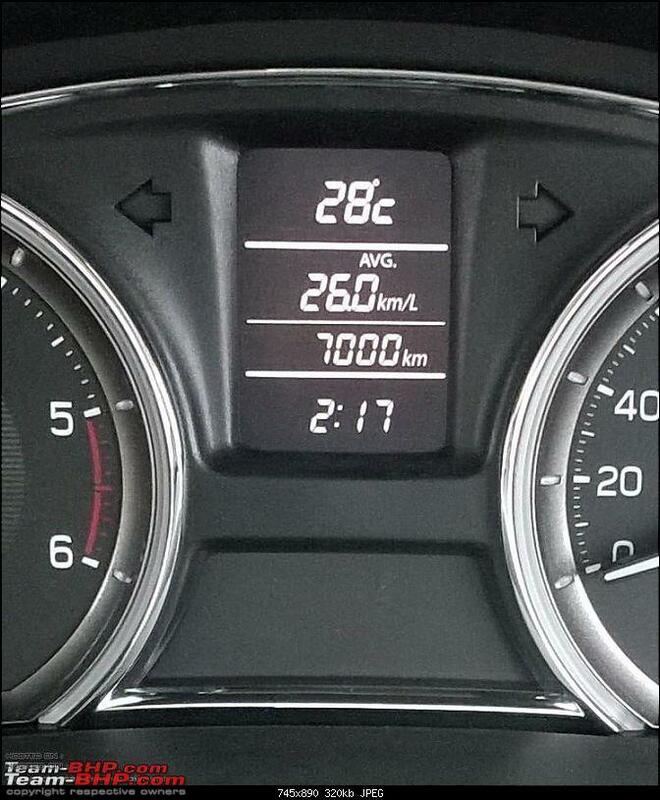 After 7100km, I can safely say I wasnt wrong! Fuel efficiency of the Ciaz has always been delightful. I have completed 11 tankfulls so far. The Ciaz gets a real world fuel efficiency of 25.6kmpl if you drive like a saint, 22kmpl if you drive like a sinner and 18kmpl if you drive like the devil. If I averaged all the 11 tankful efficiency figures, Ciaz fares at 21.5kmpl! This figure, according to me, is excellent! 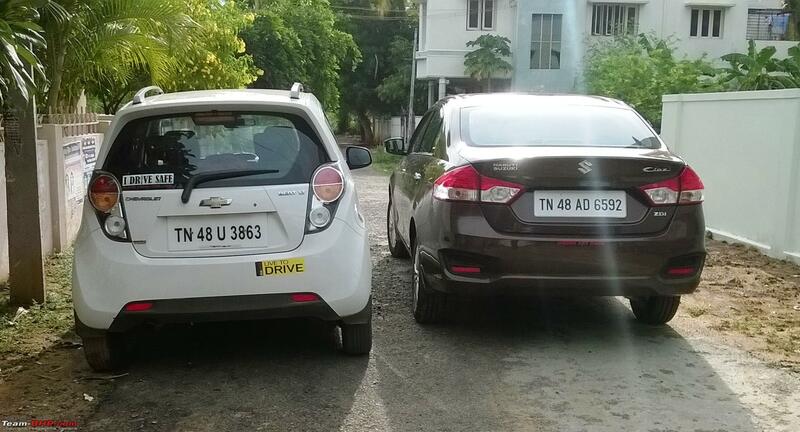 To put things in perspective, I own one of the most fuel efficient diesels in India- Chevy Beat, and I have hardly seen it give me anything more than 18kmpl even if driven sedately. I am not a big fan of fancy features. I liked the phone connectivity, rear cam, auto dimming IRVM, rear camera, keyless entry and go. The interiors were similar to Polo. I drive a 1.6 GT extensively. 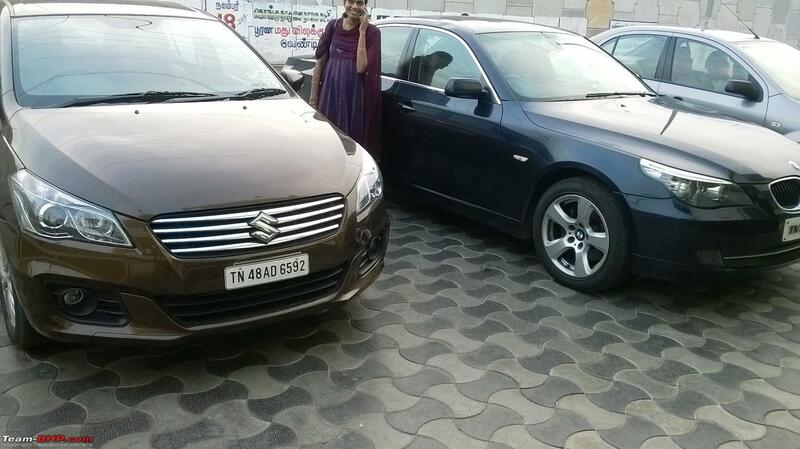 It was the main reason that I got inclined towards the Ciaz. The ac vents with chrome surrounds, color scheme and uncluttered center console were so similar in both the cars. The polo sat low, felt like I was coccooned. Ciaz felt the exact same. The sun glass holder, rear sun blind, elbow padding on doors, storage spots in the centre console, space above the start-stop button are all very useful! The speedo console looks classy with white dials and a very brief MID. This car is a very light car and it reminds you of the fact every now and then. Lift up the boot, or the bonnet, press your knees on the door pad,- all you will feel is that this is not as solid as the polo or the fiesta. But Suzuki says it is built with high tensile steel. No arguments till we see a crash test result. But donot be worried about the build quality. If you are someone who is above 6 feet tall and have the habit of sitting erect, you will find the roof too close to your head. 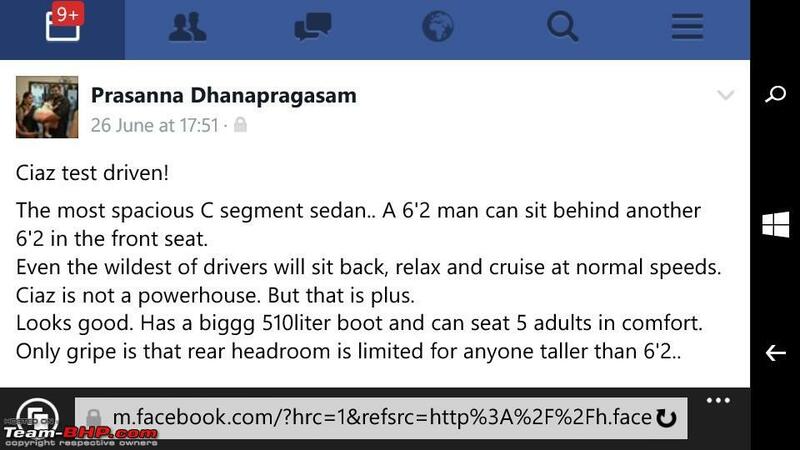 Lucky that I have never been seated in anyother seat except the driver's seat in my car. Swift was a great handling car. You could take most corners at triple digit speeds maintaining the exact line that you were in. 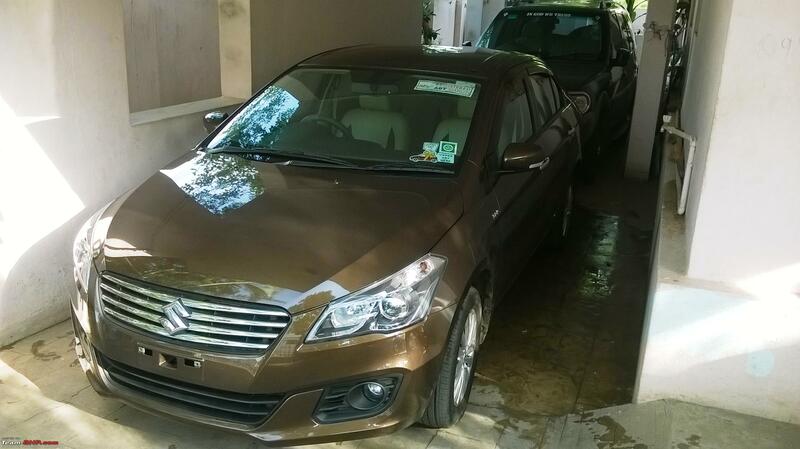 Ciaz, unfortunately is not as good as the swift. But dont get me wrong, I find its handling way superior to my beat and the safari. It naturally occurs to me to compare it with the swift. The long wheelbase is very evident during sharp corners at good speeds. You need to frequently give steering inputs to keep the car in line as the steering is not as precise as in the swift. But straight line, high speed stability is very good. 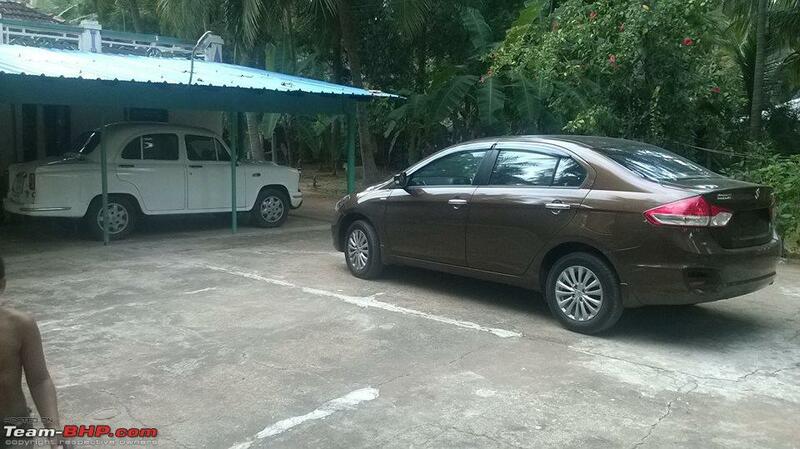 It is not as good as the swift/fiesta classic, neither is it as bad as the verna. Donot over-emphasise on this point though, most enthusiasts will easily accustom to it within first ten kilometers. If you are someone coming from a linea/fiesta/figo, you will be disappointed. The horn pad is right in the middle of the steering wheel and does not extend till the edge. It is a stretch to use the horn pad. The steering wheel is plain jane. I would have preferred contoured wheel, it is so better to hold during long journeys. Many of us prefer sitting low in our sedans. This setting will be a boon to shorter drivers, but for taller ones, the lowest seat setting feels too tall. The fuel lid opener feels downright cheap and so do the power window switches from the swift. I dont understand why Suzuki cannot think of replacing higher quality materials for highly used switches. Boot & engine bay bottom- naked!! Open the boot, and your conscience slaps on your face for spending almost 1.2 million on a car without a boot cladding. It looks disgusting to me. Same goes with the engine bay bottom cover. Even my 6 lakh beat has a engine cover. Open the bonnet and you will be welcomed by the gravel beneath your car. Though this is not a -ve point about the Ciaz as a car, I would like to add that this color, being the most preferred choice for many prospective buyers, is a pain to maintain. Smallest of the scratches will show prominently. 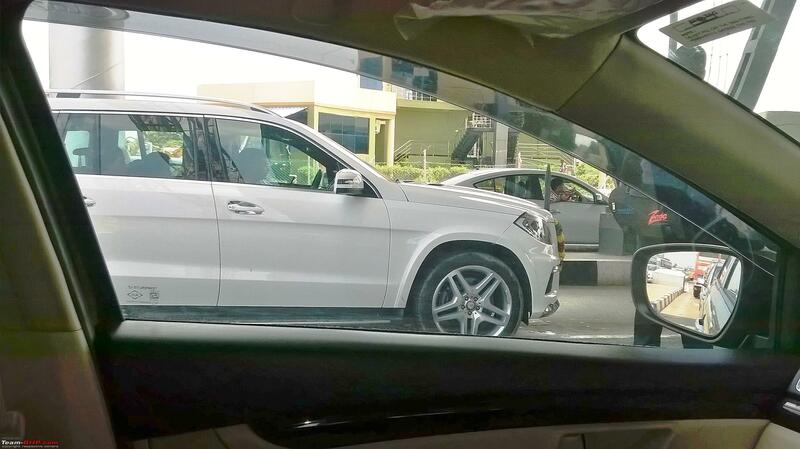 You never know where you got those minor scratches (hairline) from, even when the car is being parked safely 24*7 or being driven without any incident of anyone brushing your car. You will be hardpressed to know it is a diesel unless you push beyond 2000rpm. To be noted, the NVH levels during start-up is more than average. The car vibrates a little while starting and stopping the engine. Wind noise is negligible, road noise is negligible on well paved roads, and if the road is uneven or rough, the stock goodyear tyres makes known that they are rotating. The ACC has been impressive so far. I have not been seated at the rear, so cannot comment on the effectiveness of the rear vents. The AC controls are simple and easy to use. 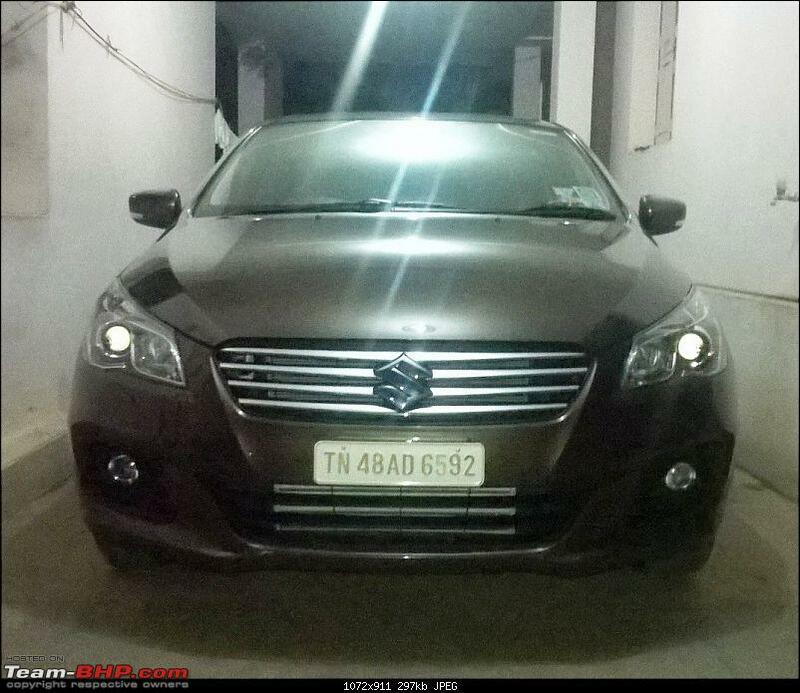 Ciaz has a GC of 170mm which is similar to that of the Chevy Beat I own. 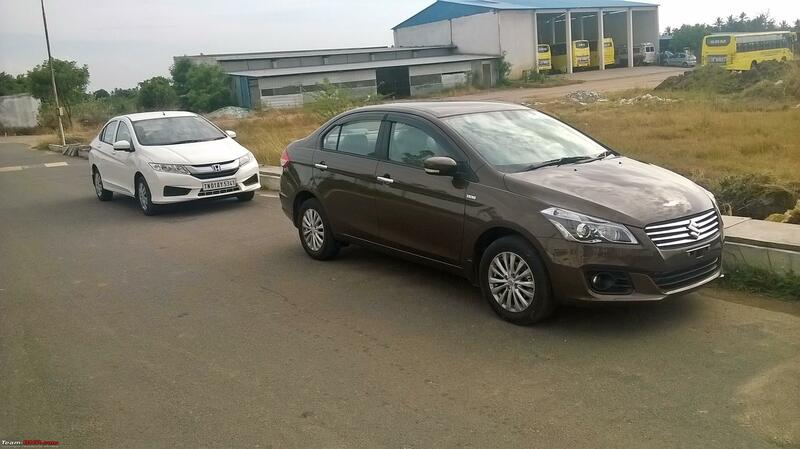 But the longer wheelbase of Ciaz was a worry initially during the purchase. My beat has never scraped anywhere, in all its 75000km till date. 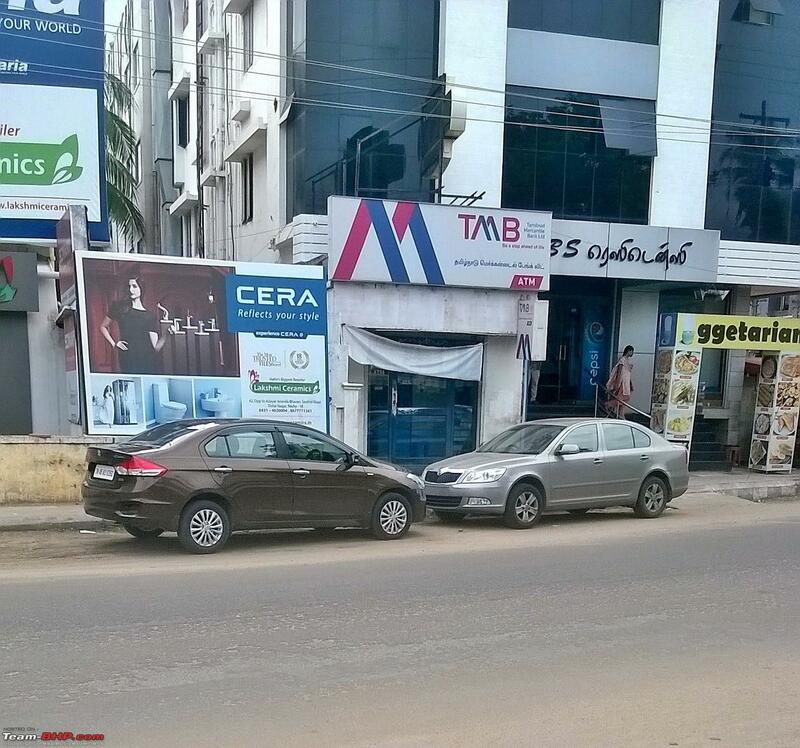 And Ciaz, so far, till 7100km of its usage, has not scraped once despite the longer wheelbase. I have had 4 occupants and boot loaded with 4 big travel bags, even then, the underbody did not scrape. Only once, on a larger than life sized speed bump, the flap behind the front wheel (supposedly for aerodynamics) scraped the bump, otherwise the GC is adequate for our driving conditions. Finding the right driving position is easy in this car. The steering has rake but not reach adjustment. I would have preferred better lumbar support though. 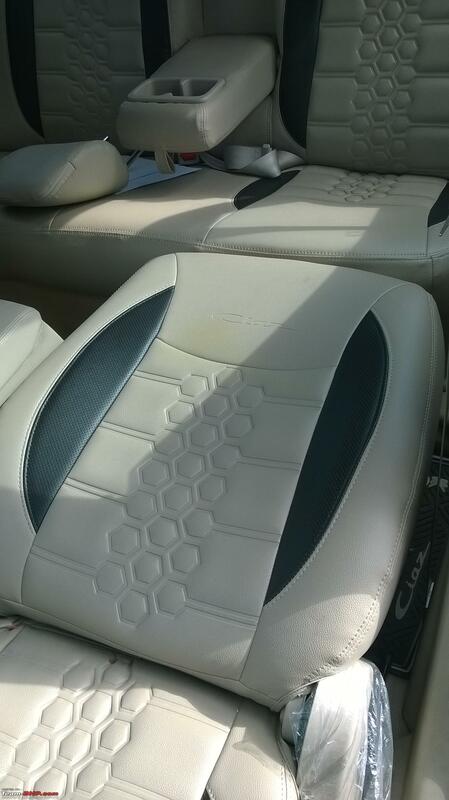 The centre armrest in the front is common for both the driver and the front passenger. But it is not as long or as wide as it should have been. Taller people wont find it inadequate, but shorter people who drive with seat pulled forward will find the armrest almost useless. All the controls easily fall in place to use, except the telephony controls on the steering wheel. 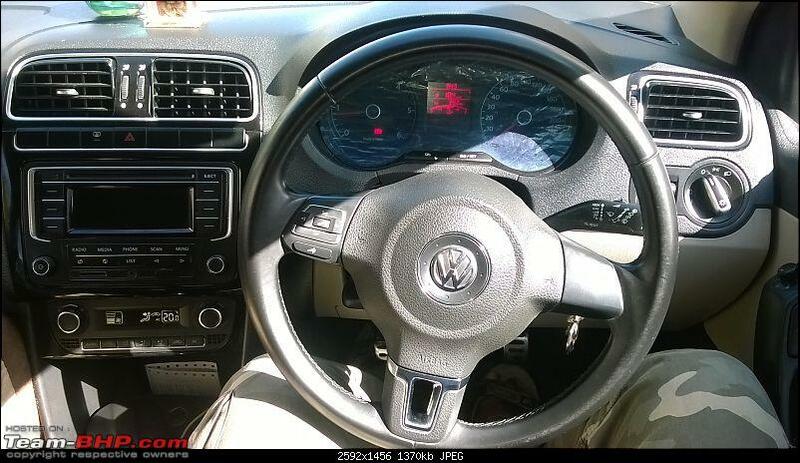 It is placed awkwardly at the south-west part of the steering wheel. 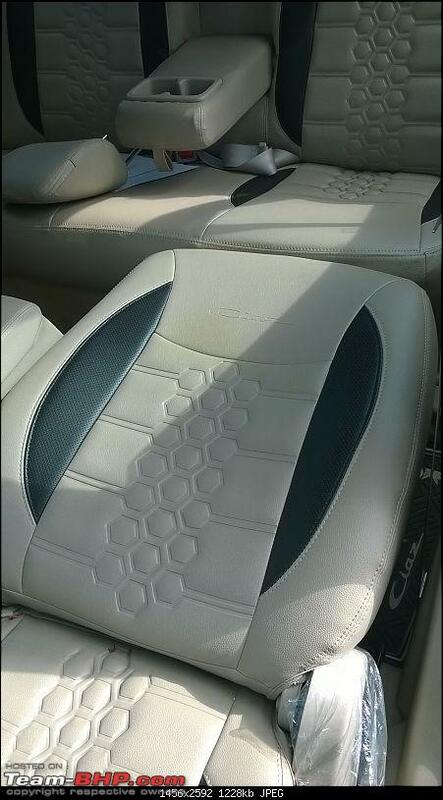 Rear headrests are not adjustable, they are fixed and reminds me of the Honda Amaze, It feels cheap and is not as useful as the full size adjustable headrests. The Ciaz ZDI does not come with the touchscreen HU. The ZDI has a simple unit that is easy to use. Bluetooth pairing works like a breeze. The USB and AUX slots are beautifully placed in the covered space beneath the centre control. The red backlighting is classy too. The sound quality is pretty good with 4 speakers and 2 tweeters. Steering mounted audio controls are a boon on the go, specially the mute button that is conveniently located near your fingers at the left side of the steering wheel. The IRVM is adequate, the visibility is average. I would have preferred bigger ORVMs though. Road visibility is good, not as great as in SUVs, but it would not be a problem to anyone. A pillar does create blindspot, but not as much as in the sx4. Paint quality is top notch, i should admit. Panel gaps are slightly bigger than preferred but are consistent all through. If you can look past the nakedness of it, you will see a very large, usable and practical boot that would make you want to kidnap someone. LOL. It is BIG! I dont think I will ever be able to fill it up fully, unless I am going to live in my car. Though panel gaps seem large, there is no water leakage inside the boot. I have driven it in heavy rains for hours together and the boot did not even have a drop in it. The clutch is light!, lighter than my little Chevy. The throw is medium and gearshifts are effortless. I have tried 0-100kmph sprints various times and not even once did I experience missed gearshift. It is notchy, but precise. Ciaz comes with front discs and rear drum brakes. Braking is typical Maruti. It lacks the bite, but at the same time it is effective. I have not had any panic braking situations so far, hence could not feel the ABS kicking. I have tried rapid deceleration to standstill from higher triple digits though, the car stopped in a straight line without much drama, except for a mild humming sound from the discs. My usage is 100km/day, of which 70% is on National Highways, 20% is in bumper to bumper traffic and 10% on rural roads where you cannot go beyond 40kmph. Okay! Most of the things I have written above would have been covered in the official review and other ownership reports. I would like to add the following information about the performance of the Ciaz, which has been painted a negative shade in almost all reviews. To begin with, most reviews are based upon a test drive with the car, ranging from a few minutes to a few hours. I had the same impression about the Ciaz after the test drive, and firmly agreed to the reviews about how lazy a performer the Ciaz is. I would like to add a screenshot of the fb post that i shared with my friends right after the test drive. already mentioned that i love and loathe the 200DDIS at the same time. The lag, sluggishness to proceed, the way it accelerates during the first twi gears! It is plain irritating. 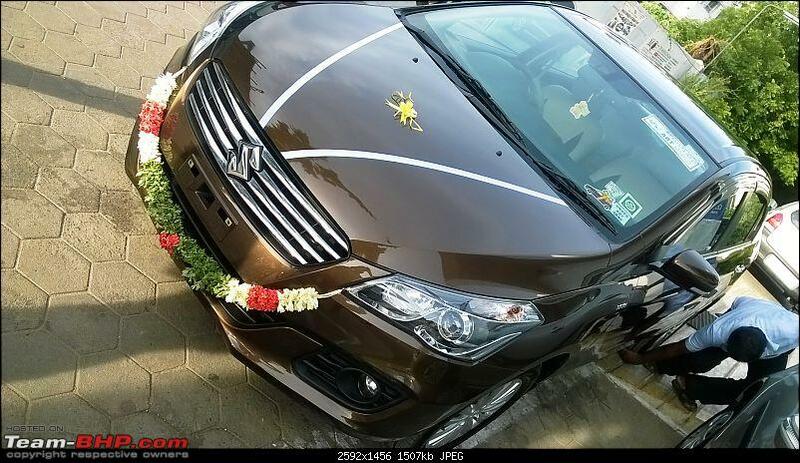 The Ciaz can do 0-100kmph in 11.2s, which was confirmed by VBOX runs. But it does NOT feel like it does it in sub-12s at all. The power delivery in its initial stages (till 2000 rpm) is very unenthusiastic. If you are an enthusiast who likes rapid acceleration, you need to be in the 2200+ rpm band, ALL THE TIME! If you are a buyer looking at C2 segment sedans, and are considering the Ciaz, please read this before you write off the car due to its sluggish performance/turbo lag. I hope the moderators dont mind me talking about high speeds, as the speed runs were all done in private roads with absolutely no vehicular/ livestock/ human presence. Please donot exceed the legal speed limits on public roadways. The speed runs mentioned below were all done on private roads with absolutely no vehicular/ livestock/ human presence. This is just to give a detailed idea about the performance which is not covered in other reviews/reports. To be honest, there are certain highways in TN, like the NH45 from Chennai - Trichy where you can find roads, as flat and as straight as possible. You can easily find a 50km stretch with continuous straights where you can see the upcoming road for the next 2km in a straight line. From 2000 - 2500rpm, the performance is decent. You will be progressing well and speeds climb steadily. From 2500 to 3500 rpm is where the fun begins! 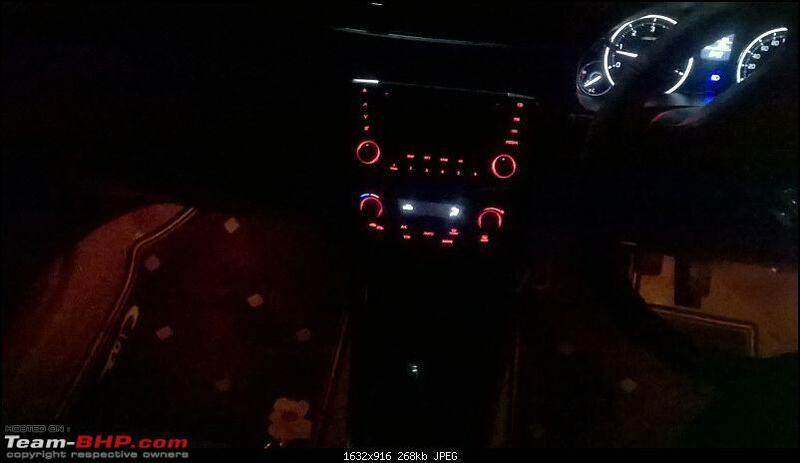 Ciaz can rev till 5000rpm, but I dont find any reason to take it beyond 4000rpm anytime. I love the throaty hum from the engine once it crosses 2500rpm, it is kind of, addictive! 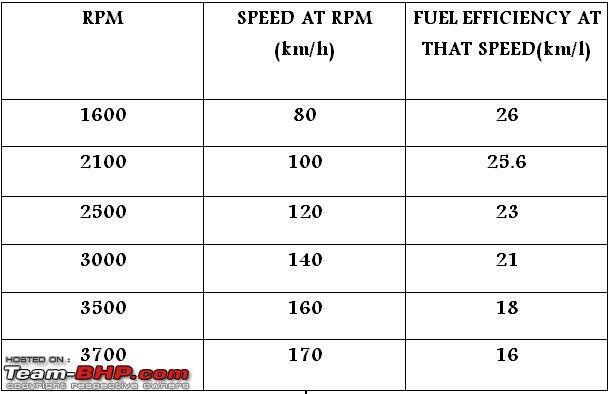 Given below is a table indicating the various rpm ranges in the 5th gear, the corresponding speeds and fuel efficiency figures. This is just to illustrate the capability of the engine, and I would like to remind you that all the data were collected while driving on private roads. What I would like to convey is that, most of us would not have to push beyond 2500rpm on public roads where we are at, 99% of the time. 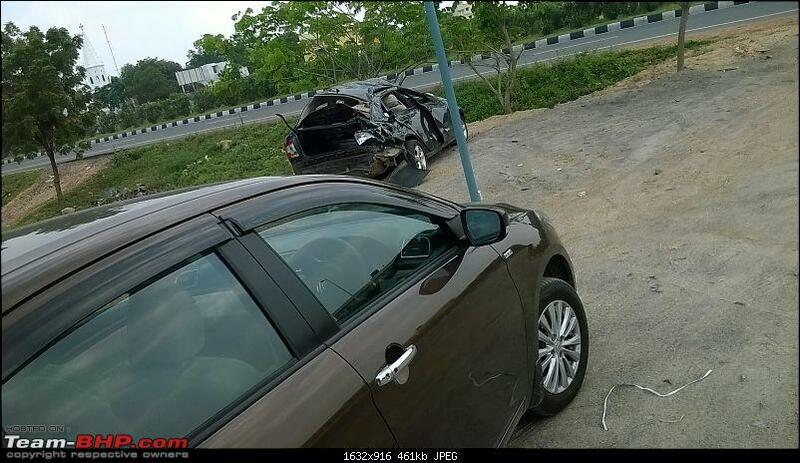 So, if you think Ciaz is not a decent performer on the highway, and consider it to be a deal-breaker, please review your belief. 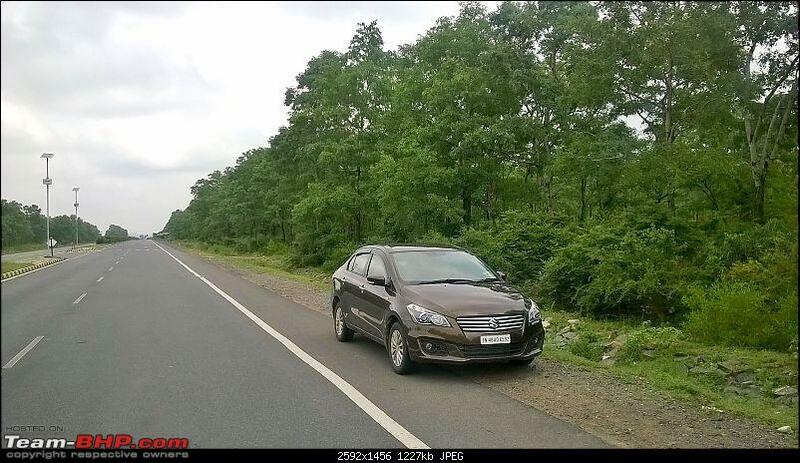 Ciaz is a very decent highway performer, and is not inferior to its competition, except for the turbolag. The best part about the 1.3 VGT is the fuel efficiency. 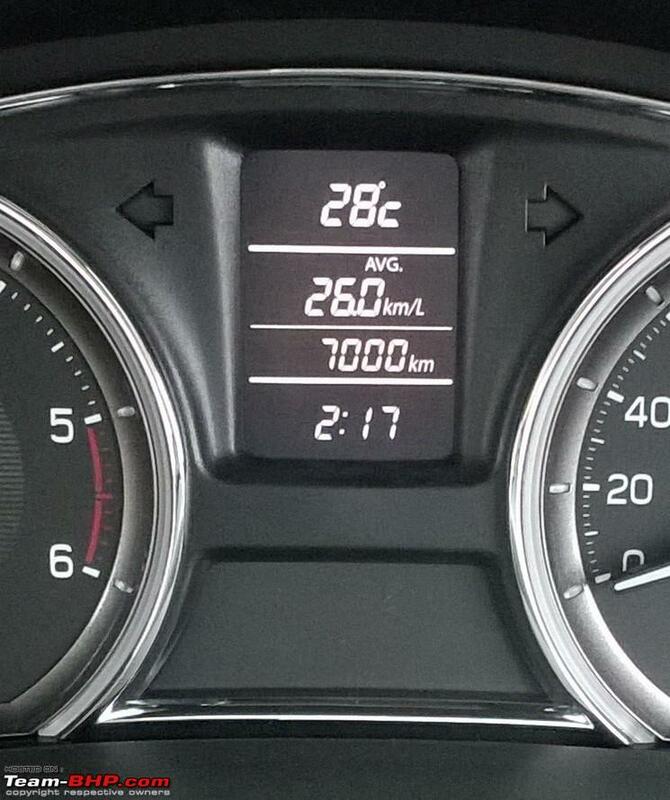 The picture below was taken after my car crossed 7000km, I was cruising at 80kmph listening to AR Rahman songs. Look at the avg FE figure. 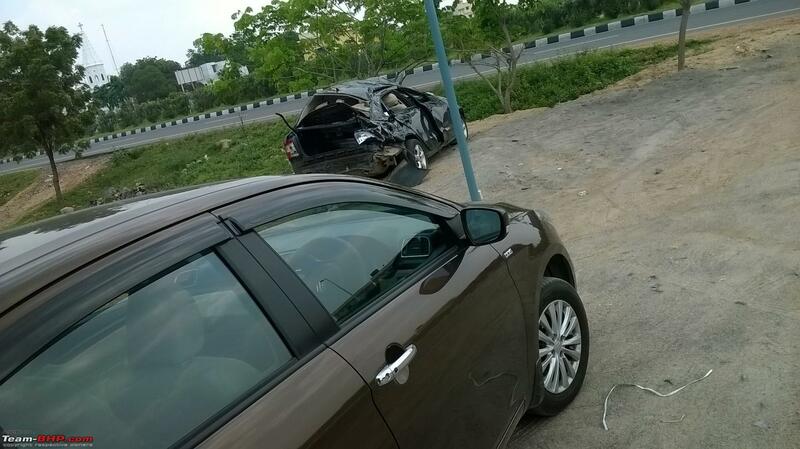 Ciaz is an allrounder, though it has its own flaws. I firmly believe that it has the potential to out sell the Honda City. It is not a scorcher, neither is it a slow performer. You will be comfortable, look good in it, you will smile during the fuel pump visits, will be able to keep up with cars from a segment above, on the highway if you know to be in the power band of turbo. Overall, I find Ciaz a great choice for the middle-class buyer who loves to travel a lot. 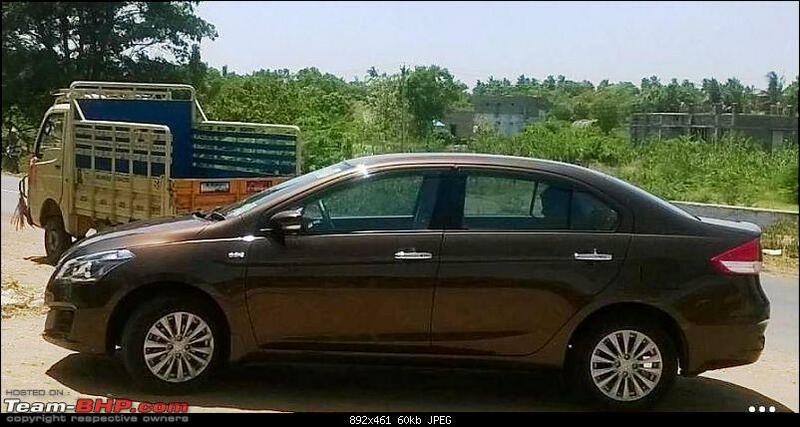 If you are a person who rates peace of mind, reliability, efficiency, excellent A.S.S, good cruisability on highways, looks, space, value for money and practicality more than the thud when the door is shut, outright performance from 0kmph, snob value, on-rails like handling, then Ciaz is just the car for you. If you are after the latter set of characteristics, the Rapid/Vento/SCross/Linea makes more sense. 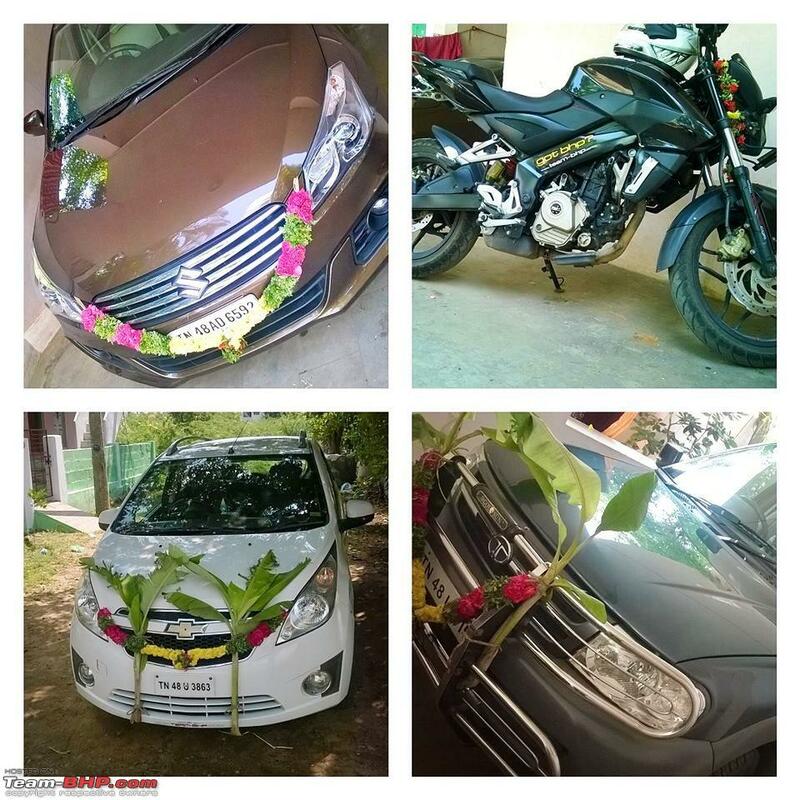 During Ayudha Pooja, - my 200NS wearing gotBHP sticker proudly, says hi! That's a great report mate, thanks for sharing! You really did a great job compiling this together, and the detailed info on highway cruising abilities was really helpful for me. 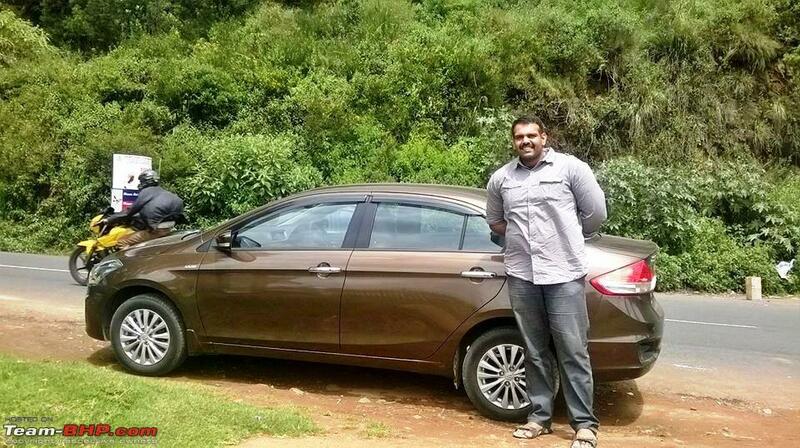 I had a chance to travel shotgun in a friend's Ciaz, and really liked the space on offer as well as the overall smoothness during office commutes. Have a great time with the new car! 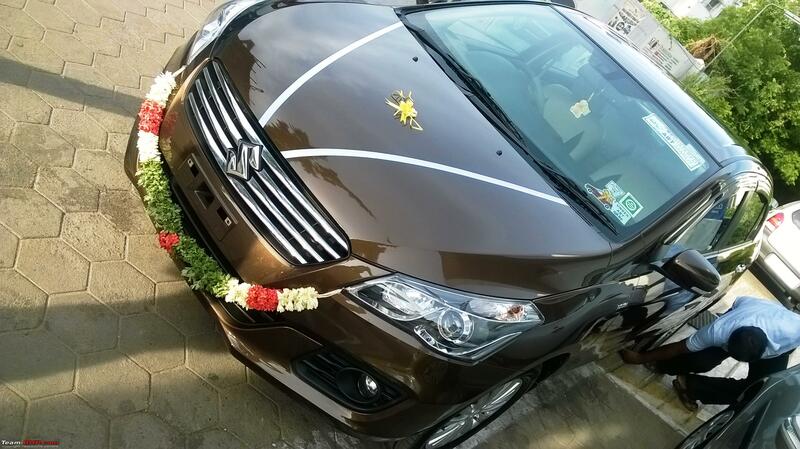 Heartiest congratulations on your Ciaz! You have a gem of a car sir! Wishing you many many happy and safe miles in your car! A very helpful review. Congratulations on the new purchase. Hope you have a great time with her for years to come. Hello fellow BHPians, It has been 3 months since I bought the brand new non-SVHS Ciaz ZDI. Any plans of going in for a remap, just to spice things up on this executive sedan? Wish you a happy motoring and many mile munching. Thank you Vik! Frankly speaking, I would love to. 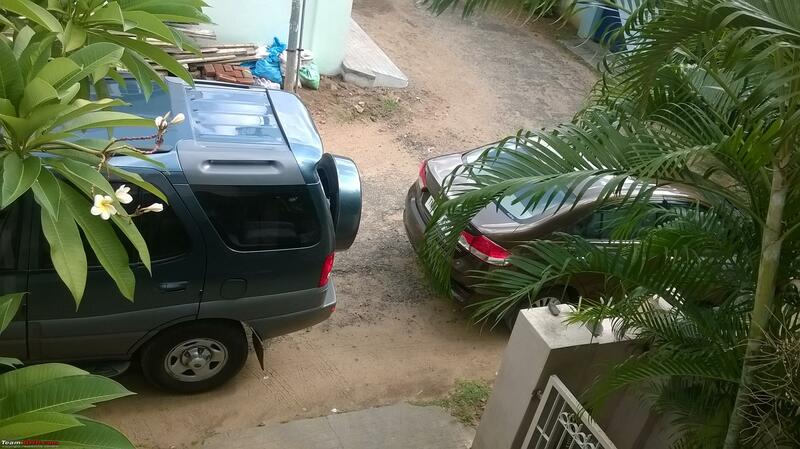 But that means I need to get my ride down to Bangalore/Chennai or Coimbatore. Remap will definitely help with the turbolag, but also would make me cross the legal speed limits often. Even the stock performance is more than adequate that I have to remind myself frequently about the speed limits. 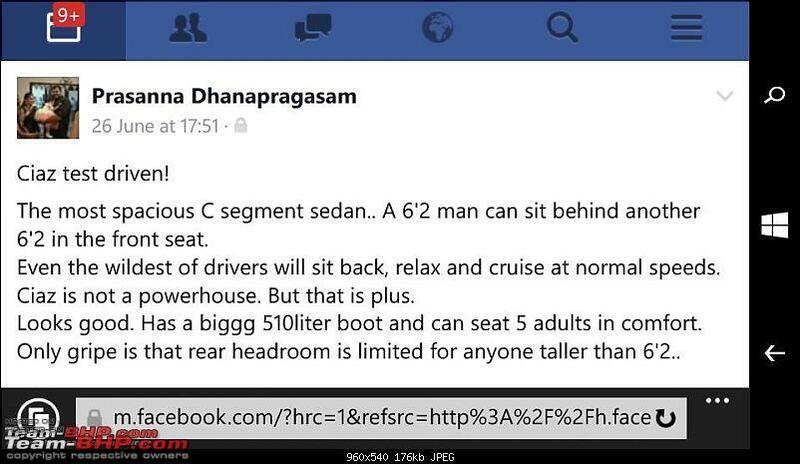 I posted info about in-gear acceleration video of Ciaz, but it was inappropriate to be in the public forum. I have PMed you the link if you would like to have a look. I was talking about the ORVM, here is a picture showing the visibility. 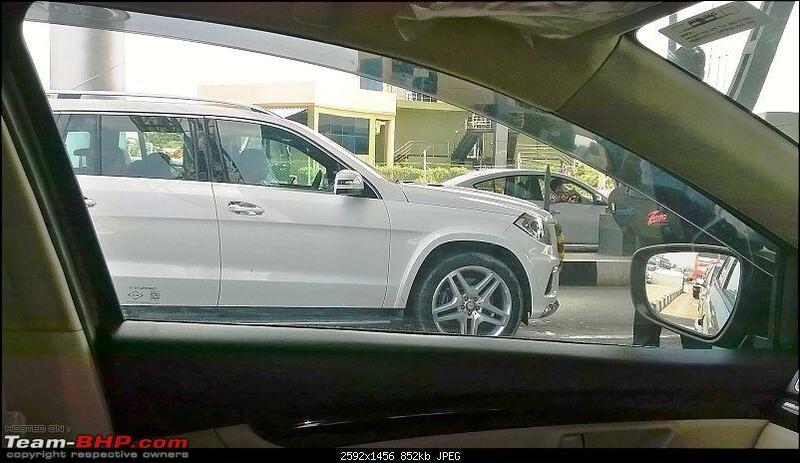 But I am very sure the GL350 with those hot wheels will be the star here. The engine bay is too big for the 1.3. 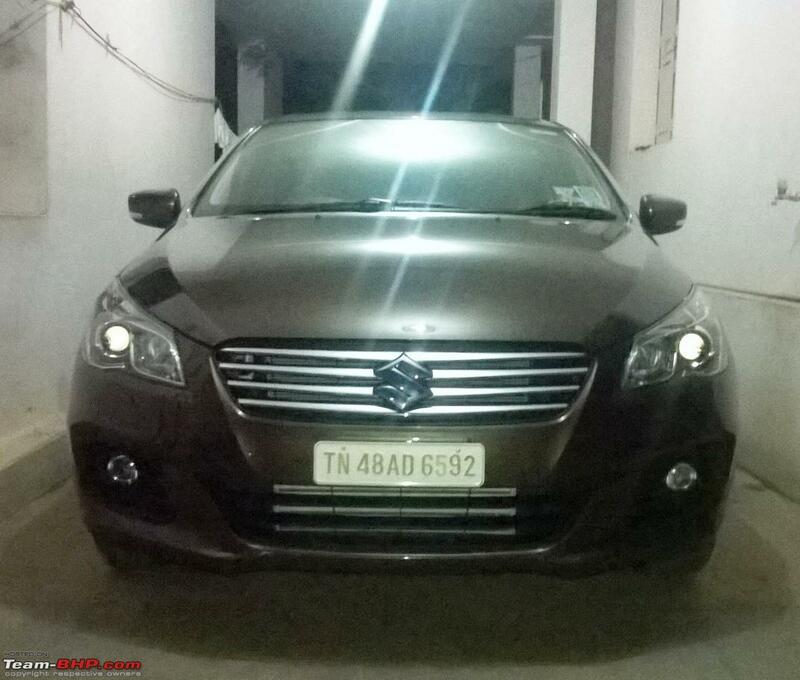 Ciaz should get a 1.6! So much space in the engine bay, you can also see the road underneath. This feature (can i call it a feature?! ), you can recline the front passenger seat completely and make a flat bed that can accommodate NBA players. 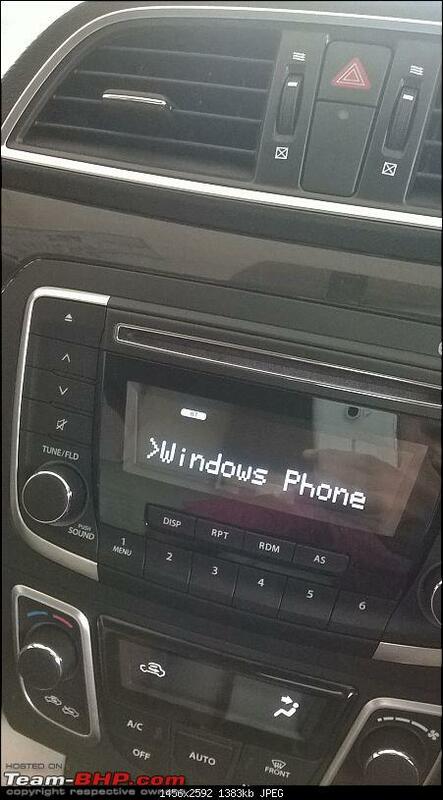 Useful for long journeys. This is the car that made me like the Ciaz in the first place. Polo 1.6 GT TDI. :-) If only it had a more spacious rear bench, flatter transmission hump, shorter door sills and a trust-worthy A.S.S, I would have blindly bought this car. Last edited by PrasannaDhana : 19th November 2015 at 18:51.
the level of details that you have captured is mind blowing. Your passion and attention to detail is coming out very evidently in the report. How much time did it take to collate all these snaps and write this report? Would be interesting to know.. Thanks Abhi! It took me 4 hours spread over 3 days. :-) Getting it right with tbhp guidelines was tough too. I would like to thank GTO for assisting in writing the review. Firstly, Congratulations for your new awesome acquisition and the detailed review. How does the vehicles responds in crawling traffic? Is the turbo lag very high and as I read the gear shift is smooth, does it helps anyway. Thanks for this detailed review and congratulations on acquiring the brown beauty! I was curious to know what have been your expenses towards servicing and maintenance till now. The turbolag is not evident during bumper to bumper traffic. The only time you can experience it is when you try to floor the pedal(when you need to advance rapidly) at 1300-2000rpm, thereby making you drop a cog to get that much needed acceleration. Second gear is good for b2b traffic, even on inclines. The first free service costed me 300 bucks. The second free service at 5000km costed me 900 bucks. Other than that I have not spent a penny for its maintenance. Last edited by PrasannaDhana : 20th November 2015 at 10:32. 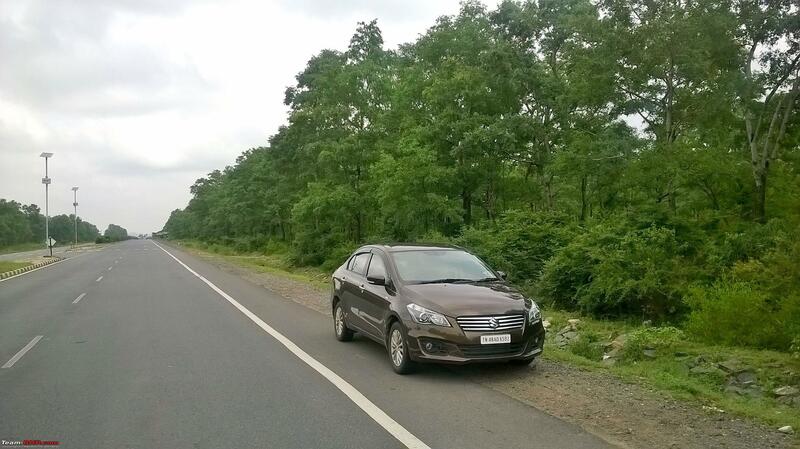 A pic shot today:-) Ciaz, where it feels the best,- the highway! 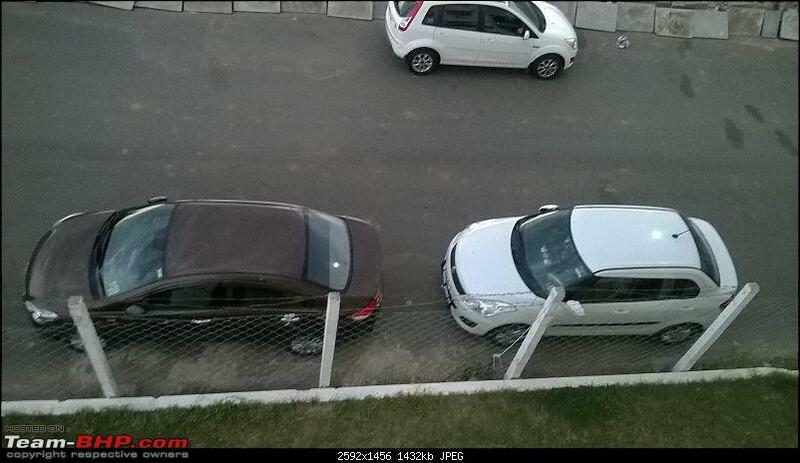 I have taken a Ciaz ZDI+ and have clocked 8800 KM's. Have made a Chennai- Cbe - Kumarakom & returned via Theni recently. The car has handled superbly and very comfortable. 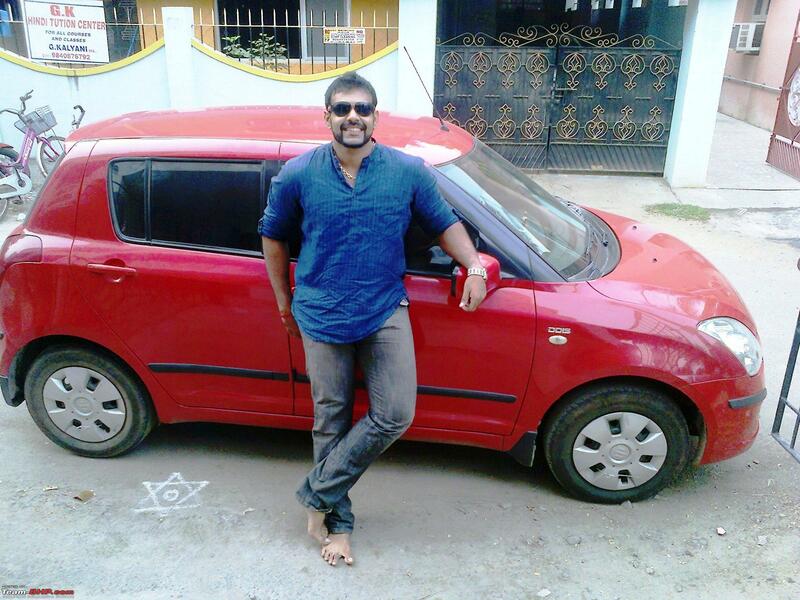 This is my first diesel car. So little disappointed in the acceleration. Beyond 70 in the fifth gear the drive becomes very smooth and I have taken it up to 170 on a free stretch and thoroughly enjoyed the drive. 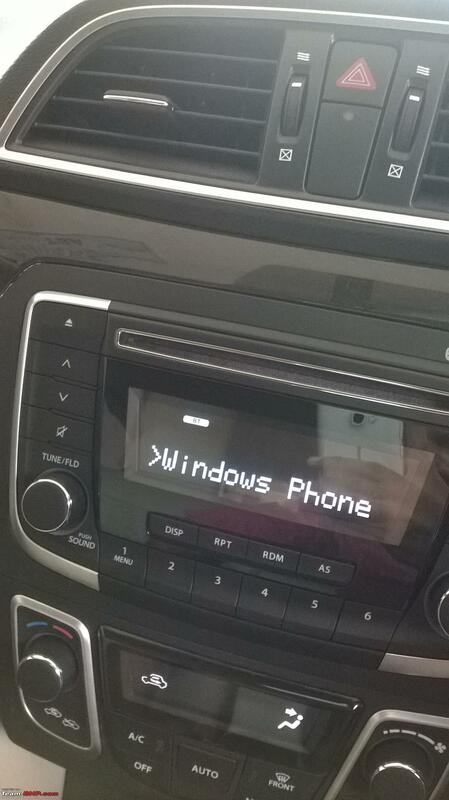 The touchscreen audio is very good and the voice commands response is also very good.